3 3/4" x 3 3/4" x 11 1/2" high. 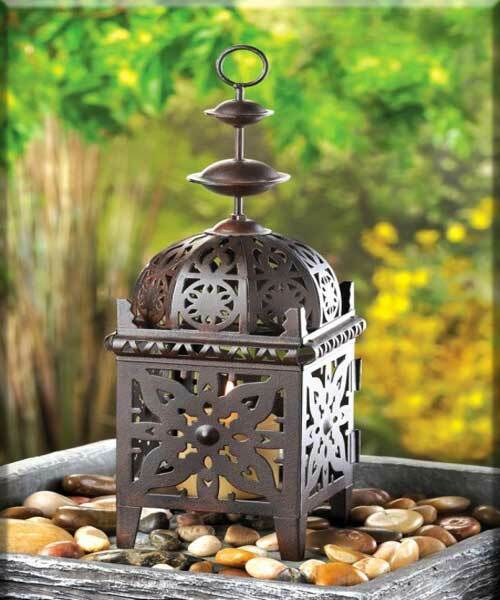 Stock# - 31574 Intricate floral cutout design in rustic brown adds fresh appeal to this Moroccan style lantern. Simply add any candle of your choice and enjoy the exotic ray of light. 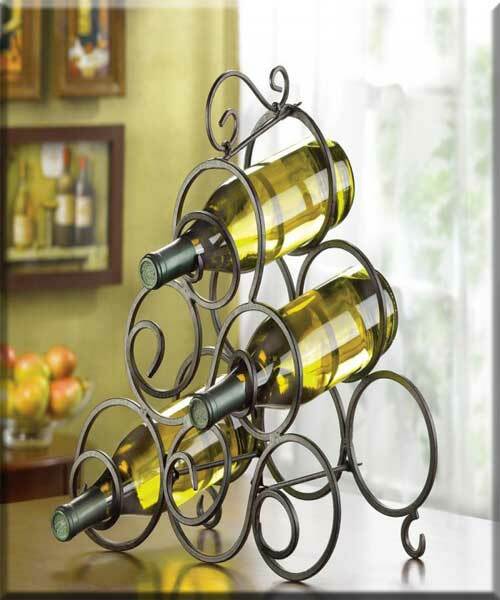 Stock# - 32405 Scrollwork Wine Rack - Place your favorite vintages at center stage with this dramatic display rack! Graceful spirals of wrought iron create an eye catching display while cradling six bottles of wine at a vintner s ideal storage angle. Wrought iron. Wine not included. 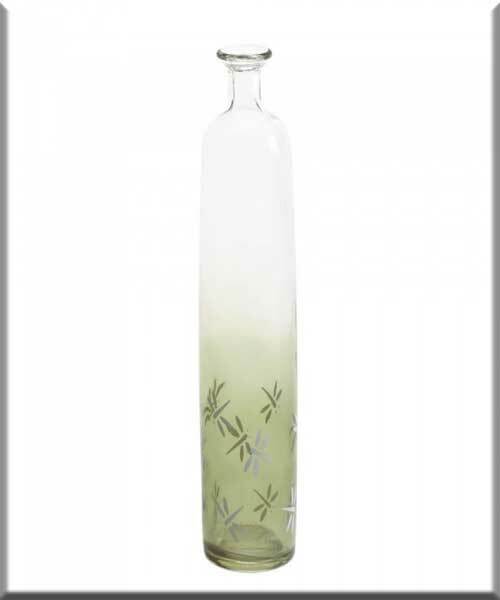 2.25" x 2.25" x 10.8"
Stock# - 10016793 This tall glass apothecary-style bottle is charming and contemporary, and its the perfect finishing touch for your mantel or tabletop. 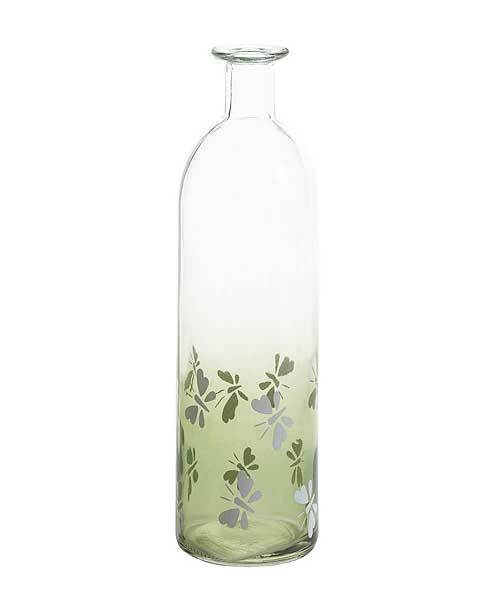 The clear glass at top slowly fades to mossy green at the base and is decorated with fanciful dragonflies captured in mid-flight. 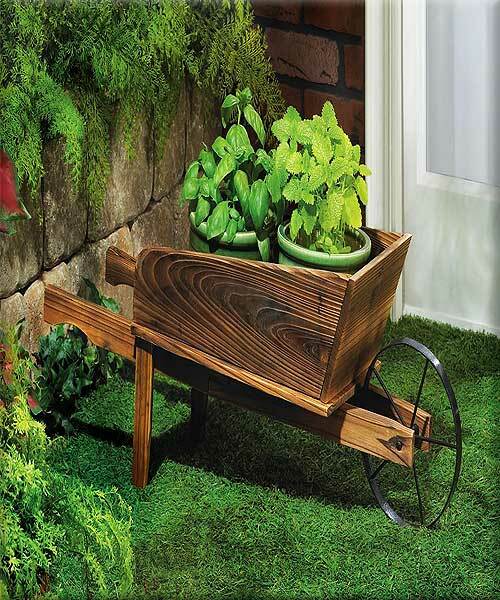 Stock# - D1091 Rustic Triple Planter Stand - Weathered wood and rustic finish lend a timeless look to this handsome planter stand! 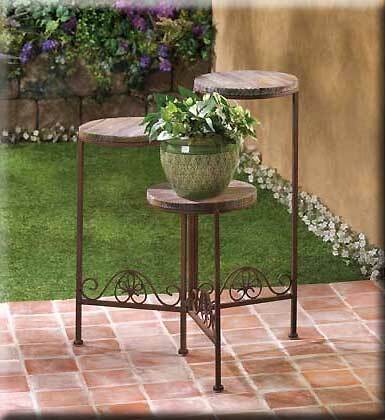 Folding configuration and three graduated pedestals let you arrange your favorite greenery for maximum style impact. Flower pot not included. Wrought iron and wood. Folded: 9" diameter x 23" high; opened: 19 1/2" x 15" x 23" high.